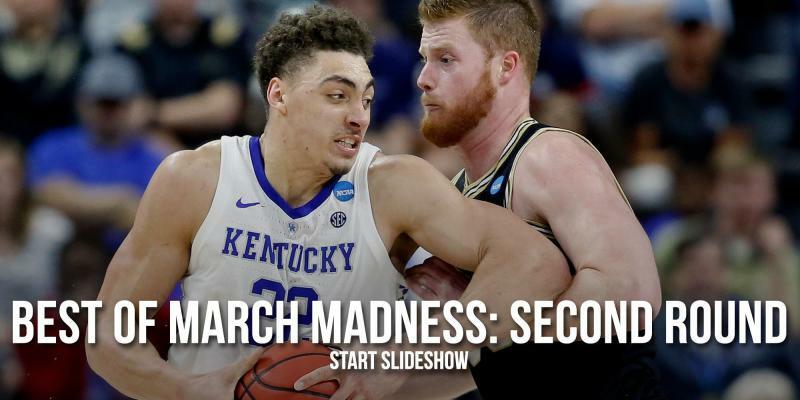 March Madness: Did Tremont Waters travel on winning shot? Did LSU's Tremont Waters travel on his NCAA tournament game-winner vs. Maryland? Tremont Waters is the 2019 NCAA tournament’s first hero. 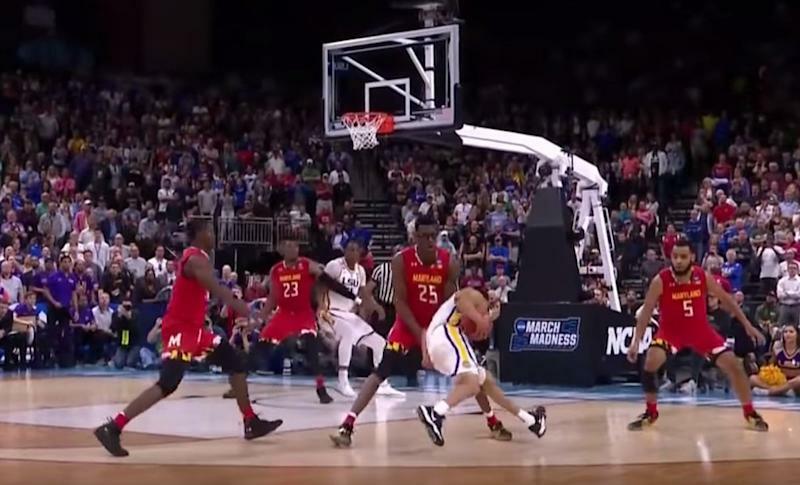 His leaning, looping layup with 1.6 seconds remaining beat Maryland, and sent LSU to the Sweet 16. It got him a postgame pile-on, a locker-room soaking and selfies with fans a half-hour later. But should Waters have been called for traveling on his game-winning shot? Bitter Maryland fans thought so. Most discarded their complaints as unfounded, the results of a desperate search for blame. But a close look at replay reveals they might have a point. In real time, from CBS’ main camera angle, there is nothing even remotely suspicious about Waters’ footwork. So before we get to the technicalities, keep that in mind. It looks like a standard one-step, two-step gather – not even in the gray area that often goes uncalled in the NBA. But there are two aspects of Waters’ move that could make it a travel. Did Waters collect the ball too soon? Waters is allowed two steps after picking up his dribble. The first is left foot to right foot. The second is right foot to left foot – off of which Waters elevates toward the rim. It looks perfectly legal. Now, there is no mention of “two steps” in the NCAA rule book. But traveling, for years, has not been governed by the rule book. It’s governed by precedent-setting interpretations. So maybe, by the book, Waters has to gather the ball mid-step, after he picks up his left, while he’s airborne, rather than when his left foot is on the ground, making it one-and-a-half steps rather than two. But that’s not how traveling is called. The only real argument here is whether Waters cradled the ball between his right arm and right side before his left foot hit the ground, making it two-and-a-half steps instead of two. If Waters has picked up his dribble in this screengrab, technically, it’s a walk. But making that judgement live, in the heat of the moment, is nearly impossible. Waters’ rhythm was right. When the rhythm is right, traveling won’t be called, and frankly shouldn’t be called. Otherwise there’d be a whistle on every other possession. Over years of college basketball, this has been established as legal. Did Waters drag his right foot? The aspect of Waters’ move that does technically make it a travel is a toe-drag/toe-tap that, again, was almost impossible to pick up in real time. That toe-tap would count as Waters’ third step, making it a travel. But as discussed above, that toe-tap is incredibly difficult for a ref to spot. Hardly anybody noticed it prior to multiple replays. It also doesn’t give Waters any advantage. So, long story short, it was a travel that can’t and shouldn’t be called. Instead, Waters’ heroics should be recognized as March Madness’ first magical moment, and the shot celebrated for all the other aspects that made it great.